Before one declares themselves experts on the issue of race, and quips “All Lives Matter”, it’s fairly simple to do some Googling and discover why that seemingly harmless statement is actually extremely damaging. Some who use this statement claim that they don’t see skin colour, race isn’t an issue to them, and the Black Lives Matter movement is perpetuating racial differences. This possibly well-intentioned ignorance is a significant factor in these racial divides still existing. In actuality, by saying, “All Lives Matter” you are admitting that you do not know what the Black Lives Matter movement stands for, and are dismissing the rampaging issue of race that, yes, in 2016, does still exist. When has the solution to an issue ever been found by burying the problem under the rug? Ignoring an issue is not a solution. Overcoming huge social issues such as racial discrimination does not happen overnight, especially not by throwing a tantrum that there is no issue. As long as black people are three times more likely to be killed by police, are stopped and frisked far more frequently than white people and are more likely to live in poverty, the issue of racial discrimination still exists. We must face it head on. Another little known fact is that prosecutors often misuse peremptory strikes in order to legally remove minority groups from jury duty in America, leading to an all-white jury in which minorities are underrepresented. Oftentimes people will explain away the police aggression, more frequent incrimination and harsher sentences for black people by citing the higher crime rate among black populations. This crime is also a true indicator that a race problem exists. Black Lives Matter doesn’t ignore the issue of crime, but acknowledges that there is a crime problem among black populations and says that focusing on this is a diversionary tactic. “Black people are disproportionately poorer, more likely to be targeted by police and arrested, and more likely to attend poor or failing schools. All of these social indicators place one at greater risk for being either a victim or a perpetrator of violent crime,” the BLM website says. 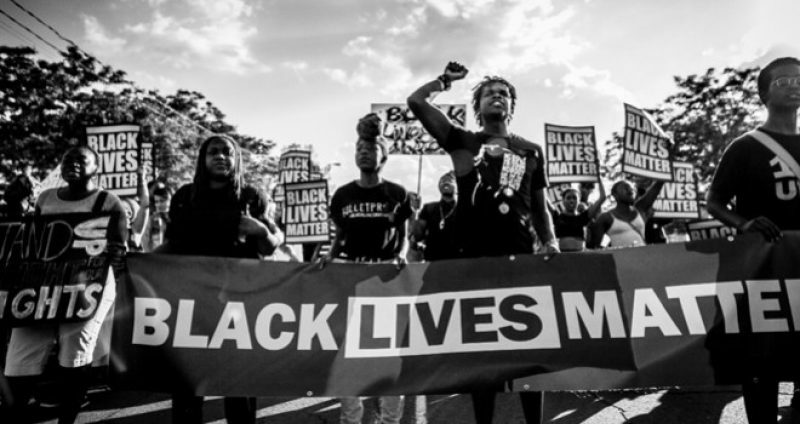 Contrary to the popular misconception, Black Lives Matter is not spreading the message that only black lives matter. BLM says that currently black lives do not matter, and they are protesting this gross injustice. As long as the “All Lives Matter” message continues to blindly rampage, and actually oppose the end of the racial divide, there can be no progress made to ensure that all lives do matter. White people have had the whole cake for thousands of year. It’s about time we give black people their fair share.